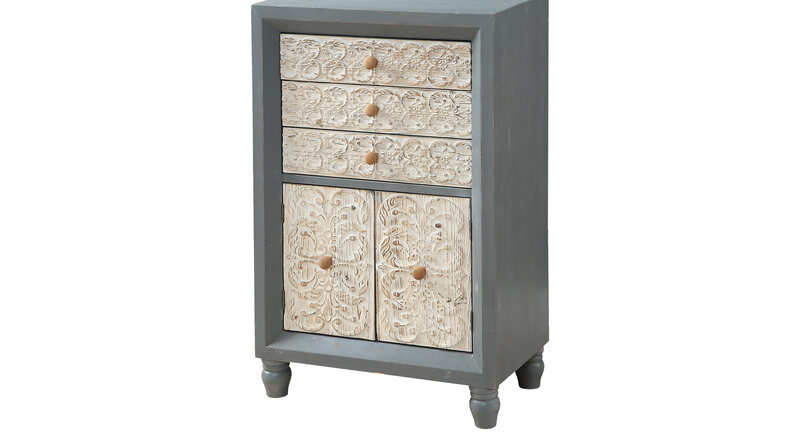 You will want to run your fingers over the beautiful carvings which form the fronts of the three upper drawers and two lower doors on this delectable Citron accent cabinet. Framed by the gray of the smooth body and turned feet, the washed Natural finish of the textured panels adds the perfect compliment of subtle color. A beautiful combination the will fit into any decor.